Lenses are primordial, yet many photographers tend to attach mediocre entry-level zoom glasses on their camera when there are plenty of affordable quality lenses on the market. Here is a personal selection of some of the best optics that can be found under $300. Jack of all trade master of none. That’s what I see on regular basis with many beginners who tend to spend most of their budget on a camera body to finally end up with an insipid kit lens. Entry level lenses are not necessarily bad but they are slow and don’t offer much creative options for the users. What’s the point of buying an interchangeable lens camera if you can’t play with depth of field and focal length? I always recommend to spend less on the camera body and save this money to purchase a fun lens that opens new possibilities. There are plenty of options and a good lens doesn't necessarily have to be expensive. 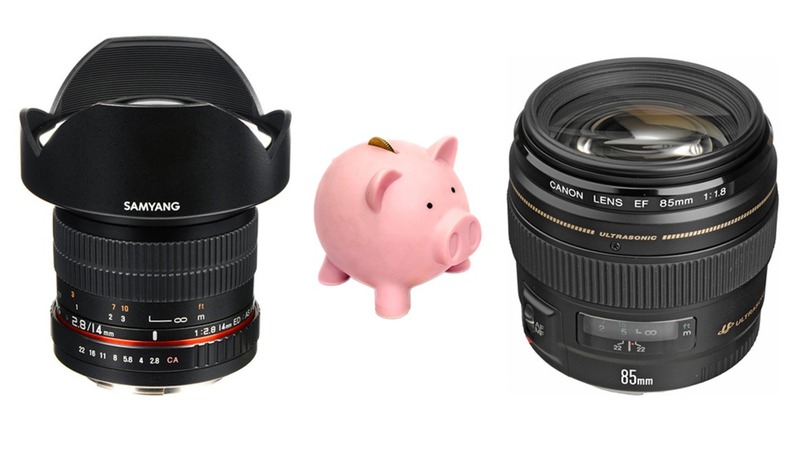 The basic but effective 50mm f/1.8 lens for Canon and Nikon only costs $130. But even seasoned photographers don’t always need the ultimate lens. As a landscape photographer, I mainly use wide-angle focal but I sometimes need to shoot with a telephoto lens. Due to my limited use, I decided to go with the affordable Canon 70-300mm which produces great images despite the poor build quality and relatively slow auto-focus. But for my type of shooting style, I can live with that. Therefore, pricier is not always better. Nowadays most Sigma Art lenses perform much better than the native options. Some high-end lenses like the Canon EF 14mm f/2.8L II are notoriously bad for the price. Finally, the new Nikon Z and Canon R mount are so recent that there is no budget option available at this time and I don’t expect to see any change before at least one or two years as the two manufacturers are engaged in a race to figure out who has the largest… aperture despite ridiculous price tag and weight. Please note that some of the prices indicated below are based on the ongoing rebate at B&H but these items are regularly on sales throughout the year. Finding them for less than $300 shouldn't be an issue. The Canon EF 50mm f/1.4 USM and EF 85mm f/1.8 USM. Two great options for portrait photography. Ultra small and light, this fun lens comes with a modern STM focus system and delivers sharp images. Great glass for video work, travel and street photography. Canon recently updated this lens. The image quality is surprisingly good for the price. Everything else is made of plastic. Probably the best option for portrait photographers on a budget. Feels cheap in hand, it lacks image stabilization and the auto-focus might not be the best but the image quality is acceptable for the price. This ultra-wide APS-C lens for Camera comes with the modern STM AF system and also features image stabilization. A great value at this price. A super tiny and lightweight lens with great image quality. Probably the best budget telephoto lens for Canon APS-C camera. Comes with auto-focus and image stabilization. 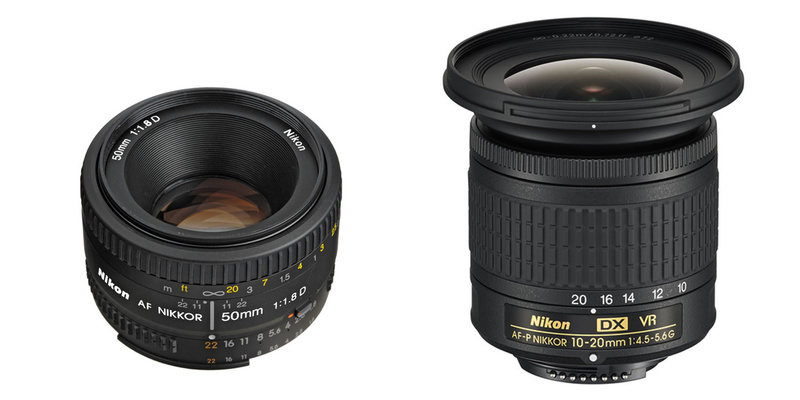 Nikon FX 28mm f/1.8 and Nikon DX 10-20mm f/4.5-5.6. A Nikon classic, small and sharp. 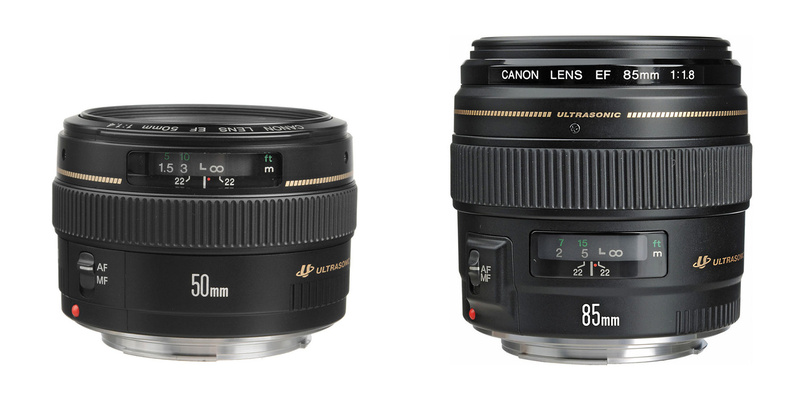 This lens comes in two variants: the older and cheaper AF model, and the newer AF-S version which offers several upgrades. The economy photographer can safely purchase the AF one. Dirt cheap telephoto lens for Nikon DX camera. It lacks image stabilization and the build quality is basic but this glass is priced accordingly. Actually, this lens cost a bit more than $300 but that’s a great wide angle option for Nikon APS-C camera. It also includes image stabilization. Another classic lens from Nikon. 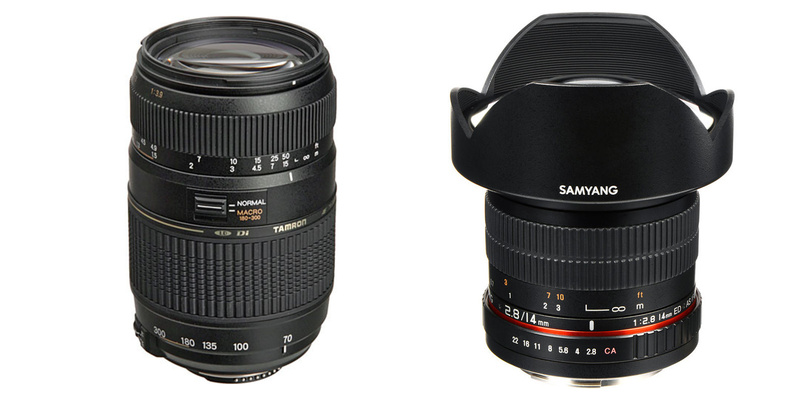 Tamron 70-300mm f/4-5.6 and Samyang 14mm f/2.8. Many third part manufacturer lenses are available for Canon and Nikon mounts. When wide is not enough, this fisheye lens can cover an entire scene in a single shot. The Nikon version is more expensive than the Canon counterpart due to the implementation of a focus confirm chip. This rectilinear lens has been a long time favorite among astrophotographers over the years. Not everyone can afford a 24mm f/1.4 or 14mm f/1.8 lens. The combination of wide focal and fast aperture helps to capture the stars at night without cranking the ISO or experiencing star trails. The sharpness wide open in the center is good. However, this glass suffers from a complex mustache distortion pattern but it can be corrected in post. Personally, I think that the distortion is not very noticeable for astrophotography. It lacks image stabilization and the build quality is not the best but this lens can be found for $130. The image quality is good when stopped down to f/8. 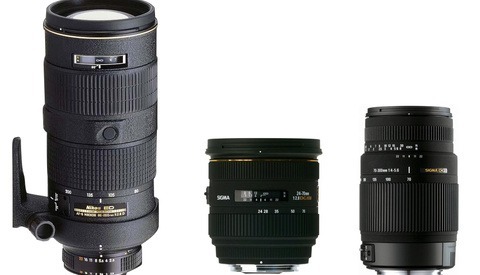 The Sigma equivalent of the Tamron 70-300mm. 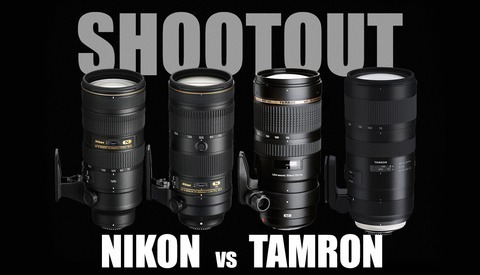 Tamron vs. Nikon: Which 70-200mm f/2.8 Telephoto Lens Is Best for the Money? I would never in my life recommend the EF 75-300mm III to anyone, it's seriously a bad lens at the longer focal lengths which is where most beginners will want to be using it. Also the EF-S 55-250mm IS STM easily out-performs the older IS II model and can be found for under $300, even cheaper refurbished, and closer to $150 for a used copy. 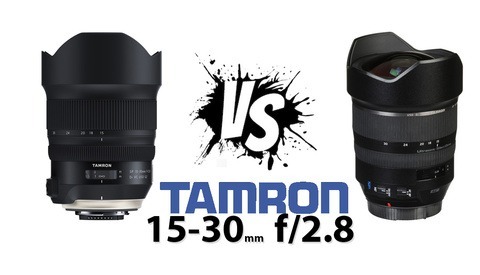 Finally, with the existence of the 50mm f1.8 STM, the f1.4 USM would be low on my recommendations as well. The extra brightness isn't worth a lot when the image quality is super soft at those wider apertures, so I'd only say pick it up if you need manual focus that isn't focus-by-wire in the STM model. Can't agree more, with your statement on the 75-300. I have it still as it came with my camera (planning on getting the 50mm 1.8). I used the 75-300 to photography sport numerous times, and it really does suffer at the longer focal range. I found that it produced more purple fringing than other lenses I've used on my camera. Plastic and more plastic.. Back away from the plastic lenses. I hope that Oliver doesn't get paid to right this stuff.. cause someone should stop payments.. I get paid by the comment actually. Thanks for your support. Best reply ever. Here's another one for you. Love my EF 85 f1.8. Cha ching, more cash-for-comments. I love my Canon 100 f2 for portraits. After renting the Sigma 85 1.4 and shooting side by side, I could not justify spending more money. Yes, great lens for the price. Unfortunately I couldn't put it here under the $300 mark. The Sigma Art is special but that's another budget and weight and I understand you prefer to stick to the cheaper but good alternative. I do that too sometime. I purchased this lens and when it arrived, I took it out of the box, looked it over and attached it to my Canon. It felt a little snug but nothing I hadn’t encountered before. I turned on my camera and looked out of the viewfinder to see nothing. I thought, lens cap. Nope. It didn’t do anything. I tried to remove it from the mount and it wouldn’t budge. I tried numerous times to the point of almost panicking and being pissed because I thought my camera would be destroyed as well as the lens. I put it up and the next day, I tried again and off it came. Back it went immediately. Never again. Yeah it's always a gamble. It obviously worked on this guy's Canon, not sure why it didn't work on yours. If you don't have access to a store where you can try out others, I'm sure it's not as attractive. I'm gonna stop by B&H and try one out on my Nikon. If it works I'll roll with it. Yongnuo makes some good products, but yeah QC is not there yet across the board. Thanks for the link Spy Black. I was hesitant to put Yongnuo in the list. Seems that they have QC issue. I am surprised why aren't more people getting into manual lenses. I have recently purchased a Russian Helios 40-2 85mm f/1.5. A behemoth of a lens, could likely survive a nuclear blast, but the results are amazing. It's a very old school lens with an awkward focusing system, but once you get past the frustration it yields amazing pictures. At roughly $300 it's a steal. Great idea. I also have a bunch of old M42 and FD lenses. I believe you can now get the Helios in native EF mount right? Yes they do come with an EF mount for Canon right out of the box. Certain cameras struggle to accurately focus on manual lenses. The Nikon D3400 for example. I haven't tested the D800's manual capability yet. No Sigma 17-50 f/2.8? Fail. "Lenses under $300" Fail. I didn't consider gray import and item without warranty. The "Best lenses" without any visual proof? It's articles like this that make me wonder why on Earth I read articles like this. Surprised that the Canon 40mm pancake didn’t make the list! I grabbed one as a nice walk around lens but I’ve found myself using it on a lot of client shoots lately. I’m continuously impressed with the IQ from that lens! Indeed, it's a great lens, very light and small. STM motors and nice sharpness. I didn't put it because I already included the 50mm f1.8 but she totally deserved to be in the list as well. Thanks for the reminder. Probably not what you had in mind but I just bought a EL-Nikkor 50mm f/2.8N for about $50. Add a reversing ring for $15 +/- and a step-up ring for about $5 and maybe a bellows for another $50-$75 and I'll be able to do macro photography up to 20:1. I like my macro lens but sometimes I would like to get even closer! Great list. It annoys me a little when sniffy photographers comment about how you should never buy cheap glass. I live in a forest, spend most of my time scrambling over rocks in incredibly sandy locations with hands covered in chalk. My 40mm pancake and bargain basement niftyfifty are perfect, especially as I rarely need the AF performance and sharpness is not much of an issue. Plus the weight saving is a huge advantage. Agreed. Content, lighting, and post-processing matter much more than absolute lens sharpness. The Canon primes mentioned here are more than sharp enough for professional use. Am I the only one eho hates the 85 1.8 ? I had 3 copies. Gave them a try, I wanted them to be good. Everything about that lens wasn't good imho. Contrast, fringing, focus... It made me hate this lens. But so many people love that lens. I picked up a Sigma 85 Art; first shot, looked at the camera display, and fell in love with the look of it. Its not the 1.8 vs 1.4; it's just a feeling. Same for the 50mm. the 50mm 1.8 is okay, the 1.4 was a mess. Picked up the Sigma Art one, instant-love. The EF-S 24mm 2.8 STM? yep, I'm on board. Bought this lens for my 5yo son (gave him my old 70D) and think it's a great lens for starters with acceptable results. This just coming from my personal experiences so maybe I was super lucky with mine, but my copy of the EF 85mm f1.8 is excellent. It's easily the fastest-focusing lens in my kit with no front/back focus issues, tack-sharp in the center even when shooting wide open, and sharp corner-to-corner when stopped down to ~f4-5.6. The color fringing is certainly a big detractor, so I try not to use it wide open in bright conditions if I can help it, but I was able to snag a used copy for a song and still use it regularly to this day. In the studio where I'm stopped down to ~f8-11 I have a hard time seeing the difference between it and the newer 85mm f1.4L IS.